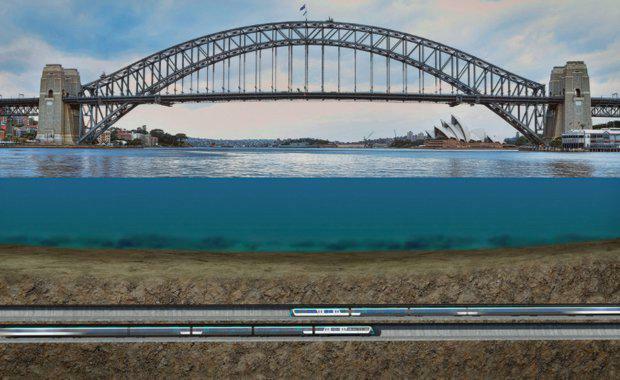 Construction starts this year on new Sydney Metro tunnels which will run under Sydney Harbour and the CBD with the green light given for the project to proceed. In all, 52 properties will be compulsorily acquired across Sydney for the second stage of Australia's largest public transport project. Minister for Transport and Infrastructure Andrew Constance welcomed planning approval for stage 2 of Sydney Metro, which starts at Chatswood, and travels beneath Sydney Harbour, through the CBD to Sydenham and on to Bankstown. The approval is for the Chatswood to Sydenham section of the project. “The scale of this project will rival any megaproject across the globe, and today marks the start of even more grunt work,” Mr Constance said. 19 buildings in the central business district – some as high as 22 storeys – will be demolished over the next two years for construction of train stations for the $10 billion-plus metro line beneath the city. A further 17 buildings in North Sydney and Crows Nest will be torn down to allow stations to be built for the new 15-kilometre metro line running from Chatswood in the city's north to Sydenham in the south via the CBD. In all, 52 properties will be compulsorily acquired across Sydney for the second stage of Australia's largest public transport project. According to The Sydney Morning Herald, six buildings at Martin Place and 13 on Pitt Street were notified last week of the government's plans to compulsorily acquire their properties for the new stations.